The above prices are subject to an additional $274 for taxes/fees levied on flights that occur as part of the tour. The internal airfares ARE included (any exceptions are listed in red below), but we list the taxes separately on your invoice as they are beyond our control and can change at any time. Optional Single Supplement: $1181 USD (number of singles limited). This tour may require a mandatory single supplement charge of $591 if you join our share program and we are unable to pair you. Landing in the vibrant cultural melting pot of Johannesburg in South Africa, we begin our Southern Africa Tour by extensively touring the township of Soweto, where we see affluent neighbourhoods, shanty-towns, the world's largest hospital and the former residences of Desmond Tutu and Nelson Mandela. A region with a fascinating, and at times dubious, history, Soweto was the location of some of the more infamous events during the struggle against apartheid and is today brimming with sites of archaeological and historic interest. 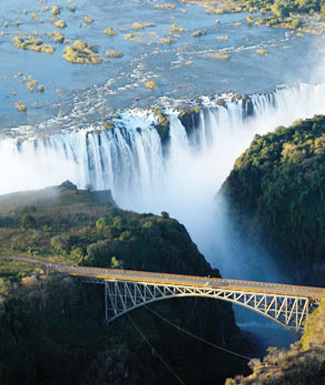 Crossing the border into Zimbabwe, we head for one of the world's most magnificent natural sights at Victoria Falls, named after the then-reigning Queen of England by Scottish missionary David Livingstone. We get close to nature by rambling through dense rainforest around the Falls. 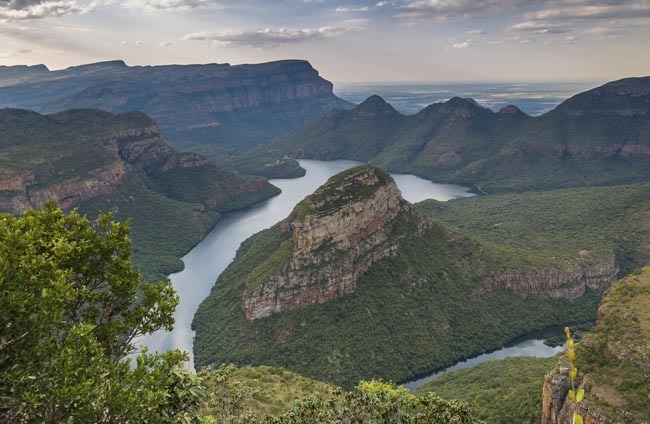 We return to South Africa for yet more exploration of this abundant natural wonderland by admiring exotic flora and teeming fauna - like leopards, cheetahs, elephants and zebras - in the country's largest nature reserve; Kruger National Park. 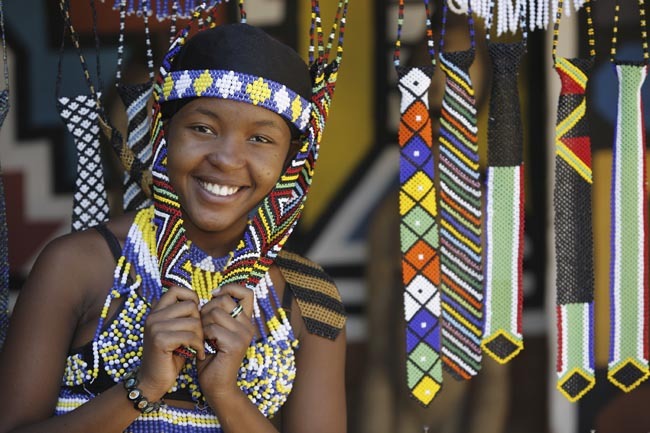 Into Swaziland, one of the last remaining kingdoms in Africa to get a taste of the rural life of the inhabitants of this country that was once dominated by colonialism. 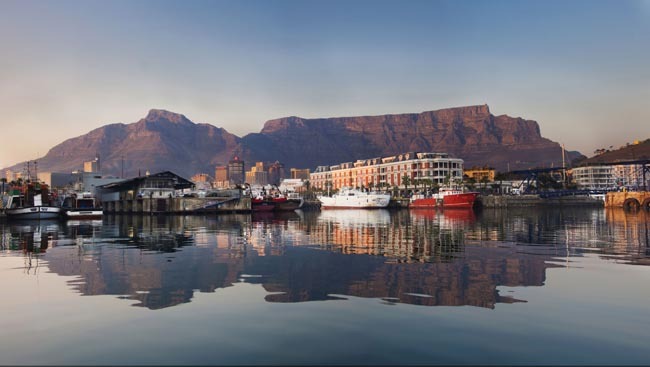 Back in South Africa, we see the region that is the traditional home of the Zulu nation, gaze in awe at the 'Big Five' in the oldest conservation area in Africa and explore the many attractions in and around Cape Town, one of the world's most spectacularly located cities. Game drives were outstanding. A highlight was our 1st night in Zimbabwe and the water cruise at sunset... magical and a great way to start! We had 3 local guides and all were outstanding and very informative. Also became friends in a very short time. The buses used were comfortable and roomy. Our tour leader was very friendly and informative. Became a friend in 2+ weeks. His local knowledge was outstanding! Outstanding!!! I enjoyed everything. All local guides were excellent. Food was excellent and plentiful. Our tour leader Peter was very personable and efficient. He was always available and had a good sense of humour. The hotels on this tour were excellent. Trip of a life time. Four days in Victoria Falls area was particularly stunning. Chobe was a highlight. All excursions were excellent and we packed a huge amount into the tour. All local guides were informative and very easy to get along with. Enjoyed all the guides we came into contact with. The meal plan was outstanding. Our tour leader Peter was very personable, approachable and knowledgeable. The hotels throughout this tour were excellent. An excellent experience. One I have already recommended to friends. The game safaris were excellent with very knowledgeable guides. There were three of these, all very well done, and just the right number. The river cruise in Chobe was very exciting. The trip to Robben Island, the Cape, through the Garden Route, the Apartheid Museum, Kirstenbosch, and Table Mtn. were all very memorable. The local guides were fantastic. Transportation was first class and very comfortable. The meals exceeded our expectations. The restaurants were varied and the meals were superb. 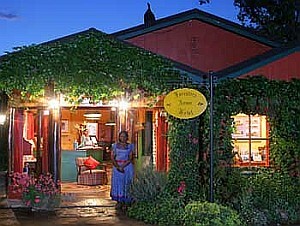 The Miller's Thumb in Cape Town provided one of the best meals we have ever enjoyed. Our tour leader Peter went out of his way to look after the needs of all his guests, he made the tour excellent. The hotels on this tour were excellent. Over the years, I have met several people who have highly recommended Adventures Abroad. I thoroughly enjoyed SA2 and your website will be my "go to page" when I consider future travel. The tour included a great variety of destinations and activities. I was very happy with all elements. I have travelled extensively and taken many tours. 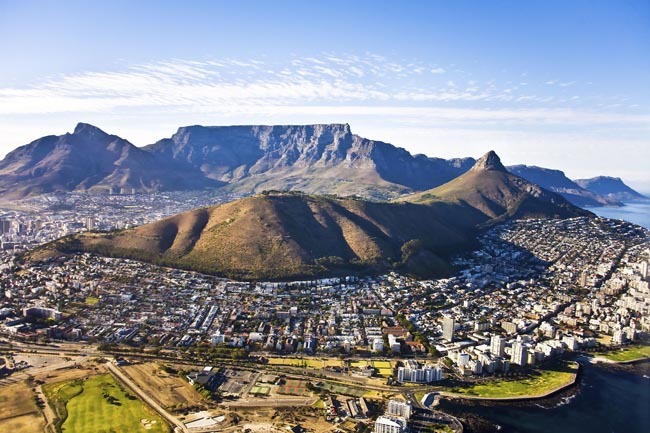 I think that the guide that was with us from Port Elizabeth to Cape Town, is outstanding and I would characterize him as the "best local guide ever". He informed us of all aspects of life in South Africa - he was very frank, knowledgable, informative, thoughtful, and entertaining. His contribution was a very valuable and very special element of my tour experience. The food on this tour exceeded my expectations. Our Adventures Abroad tour leader clearly knew a lot about food and the restaurants he chose for our dinners were all excellent. I was very pleased to be able to order what I wanted from the restaurant menus instead of eating from set menus. Throughout the trip our Tour Leader did an outstanding job. He was consistently knowledgable, informative, personable, and helpful. He has a great personality - warm, friendly, humorous, and positive. Bottom line - I would be delighted to travel with him again and I would highly recommend him to others. Enjoyed all of the excursions. Guides were all excellent. Transportation was excellent. Yes, the meal plan very much met my expectations. Our tour leader Peter was made for this job. He is very knowledgeable, Great personality, made things interesting, variety was great. They do not come any better than Peter. Hotels were excellent. 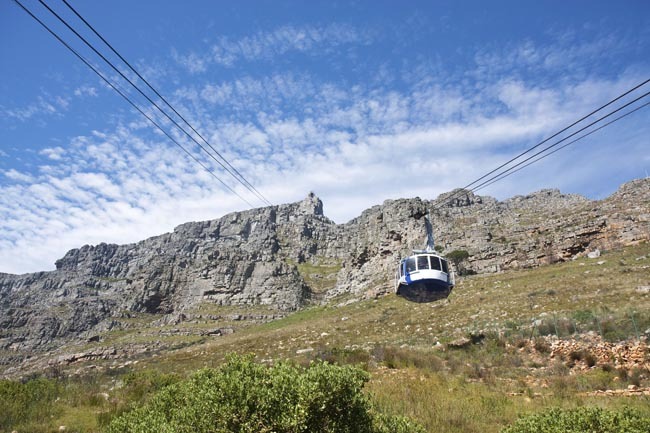 We enjoyed the variety of excursions and events.The Highlights were the animal parks, museums and all sites in Cape Town. Excellent local guides. They were knowledgeable and each added their own perspective and insight. Appreciated their candid conversation. Excellent comfortable transportation. Excellent food and the restaurants were well chosen. We had the best tour leader we have ever had. We would seek to travel with him again. His welcoming personality was appreciated. He had such a balanced approach. Excellent choice of hotels. Above what we expected. Comfortable, clean and had everything we required. Excellent breakfasts. An excellent comprehensive holiday with lots of variety, history and a chance to see African animals in their natural habitat. My impression of South Africa has changed as I gained insight into the challenges since Apartheid. A profoundly beautiful country. I appreciated seeing it lush and green after lots of rain. I'm very impressed with my first trip with Adventures Abroad. So nice to have everything paid for up front and not have to come home to a big credit card bill. Also this is the first time I've had a tour where there's a tour leader plus local tour guides taking care of the group the entire time. So much attention! I really enjoyed the elephant ride in Zimbabwe which was an optional we had to purchase. It was very well organized and one of the highlights of our trip. There weren't any sightseeing elements that I thought were a waste of time. Evening meal plan exceeded my expectations. So much good food and you usually got to pick what you wanted by ordering off the menu. Chris (Tour Leader) was able to relate well to all the people on the tour. He was always with us and never seemed to have much time on his own. He dedicated himself 100% to the job.He kept everything going at a comfortable pace. Days were long but filled with so many activities that you never good bored. The safari drives were the highlights to me. The local guides were well informed and worked well with the tour leader. Our tour leader was excellent, he was always helpful and enthusiastic. He was very well informed. Rate it as one of the best trips I have taken. All three local guides were pleasant, informative and friendly. I especially liked Dino periodically and frequently coming down the bus aisle and talked to each one personally to see if we were doing okay. We know he was really interested in us.Chris has truly the right personality for the job. Informative, openly pleasant and friendly.Chris is by far the best Tour Manager I have ever had. I have been on several vacations over the years and Chris tops the list. He was always pleasant and present. Dealt with any problems quickly. He has a wonderful sense of humour and has the ability to readily read and understand his clientele almost immediately. Johannesburg is South Africa's financial centre and largest city. This "Place of Gold", as the Sotho word for Gauteng Province suggests, harbours the gold fields of South Africa. No one could have imagined the repercussions when an unemployed miner found a stone bearing traces of gold in 1886. This seemingly insignificant event led to the discovery of the world's richest natural treasure trove. People flocked to the area from all ends of the earth and the open pastoral landscape changed almost overnight. 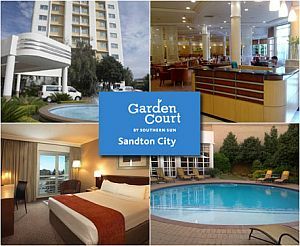 Today in the "New South Africa," Johannesburg continues as the country's -- indeed the entire region's -- economic powerhouse and is evolving into a very vibrant cultural melting pot. 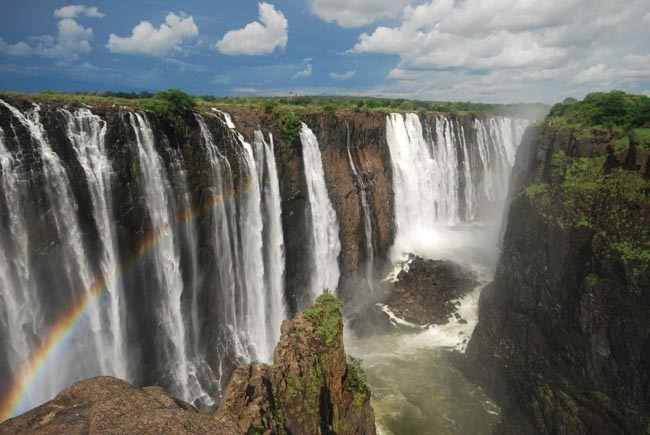 Today we fly from South Africa to Zimbabwe where we will spend three nights next to one of the world's most spectacular natural sights, Victoria Falls. This area has actually been inhabited for hundreds of thousands of years. The first known name of the falls was "Shongwe"; the current name did not come into being until the Scottish missionary and explorer David Livingstone was brought to the falls in 1855 and named them after Queen Victoria. 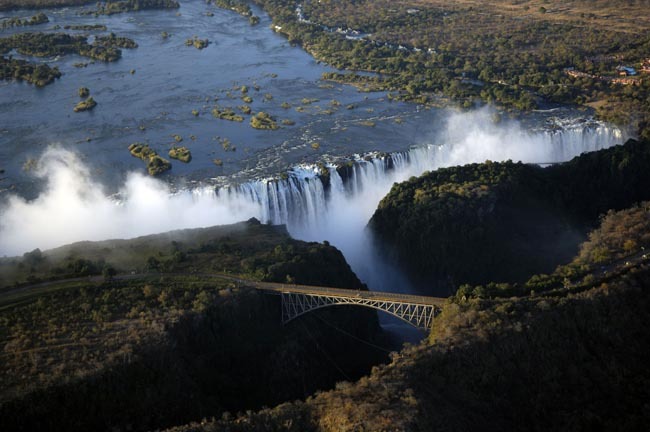 The falls and the nearby town of Victoria Falls are on the mighty Zambezi River, the fourth longest in Africa, forming the border with neighbouring Zambia. 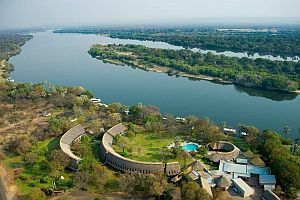 After settling into our hotel, we'll travel by road a short distance to the Zambezi River on which we will enjoy a scenic sunset cruise above the falls. 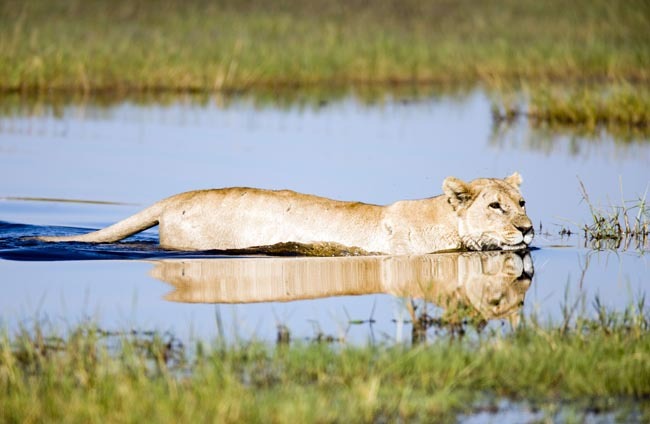 The river here is wide and slow moving; be on the lookout for hippos, elephants, antelope, giraffe and myriad bird species for which the region is famous. After our cruise we will enjoy a lively demonstration of traditional African dancing and drumming before our evening meal. NOTE: Due to logistical reasons, the order of Victoria Falls area sightseeing activities may vary at the discretion of your Tour Leader. The afternoon is yours to enjoy optional activities. 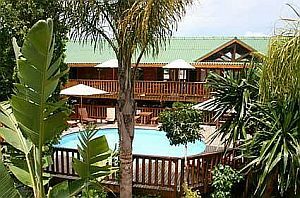 You may relax by the pool, do some shopping in the village famous for local artisan crafts, travel to the Zambian side of the falls or even go sightseeing by micro-light aircraft or helicopter. Your Tour Leader can help plan your afternoon. Today we make an early morning excursion into Botswana to visit Chobe National Park, located only 1.5 hours by road from Vic Falls. We complete Customs and Immigration formalities and continue with a fifteen-minute drive to the lodge that we will be using as a base for today's activities. 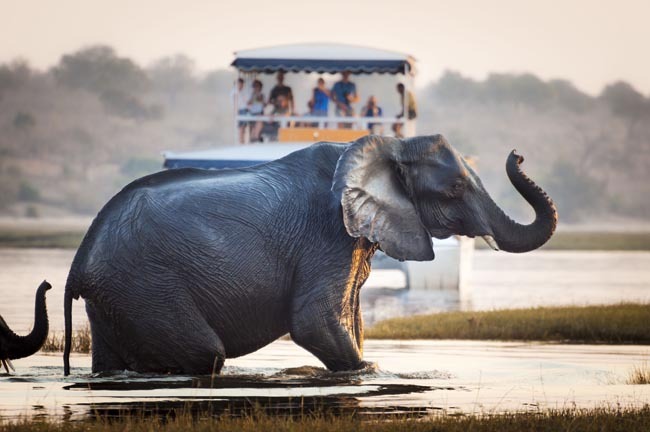 Our safari starts with a cruise on the Chobe River (shade and refreshments available) that takes us close to the waterfowl and wildlife on the river. Large flocks of birds, big pods of hippos and very large crocodiles can be viewed from the safety of your boat. Our lunch (included today) is served back at the lodge overlooking the river. After lunch we board open (covered) safari vehicles and head off into the park to view some of the 70,000 local elephants, buffalo herds, sable, wildebeest, giraffe, and with luck, some resident lion and hyena. We travel back to Zimbabwe, arriving at about 18:00. 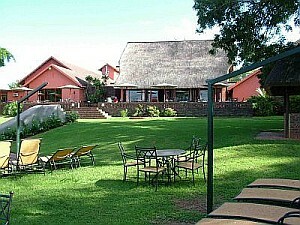 Overnight in Victoria Falls (dinner on your own this evening). Breakfast and dinner daily, one lunch. All land transport, internal air, accommodation, sightseeing and entrance fees for sites noted as 'visited' in the detailed itinerary. Gratuities for drivers, local guides, restaurant staff, porters. Airport transfers for land & air customers and for early arriving / late departing land & air customers who book their extra hotel nights through us. International airfare to/from the tour. Tour Leader gratuities, most lunches, drinks, personal items (phone, laundry, etc), international air and air taxes (if applicable), domestic air taxes, visa fees, and any excursions referenced as 'optional'. Airport transfers for Land Only customers. Optional trip cancellation insurance. Our post-reservation trip notes offer further guidance on shopping, visas, an locally paid departure taxes. This tour is offered throughout the year and no time is a bad time to visit. Oct / Nov: Short-lived thunderstorms are a frequent occurrence, especially in the north. Victoria Falls are low. Dec / Jan: Mid-summer and heat is a factor, especially in the north. Northern areas and game reserves are green. Vic Falls moderate. Feb-April is late summer when days are usually hot with thunderstorms in the north and dry, cooler weather in the south. High water season at Vic Falls. June / July coincides with "winter" in Southern Africa-warm and dry days and cool-cold nights in the northern regions. 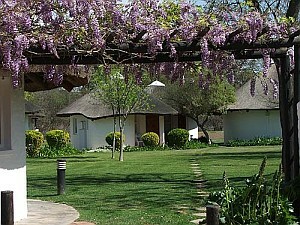 Game parks are dry and cool with short grasses that enhance game spotting. In the Cape weather conditions can be highly changeable with wind and rain possible. Medium water levels at Vic Falls. 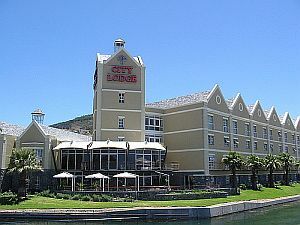 Well-located, air-conditioned, 3 & 4-star hotels with en suite toilet and bath throughout. Porter service is available throughout (see 'Inclusions'). Single rooms are limited and likely smaller than twins.